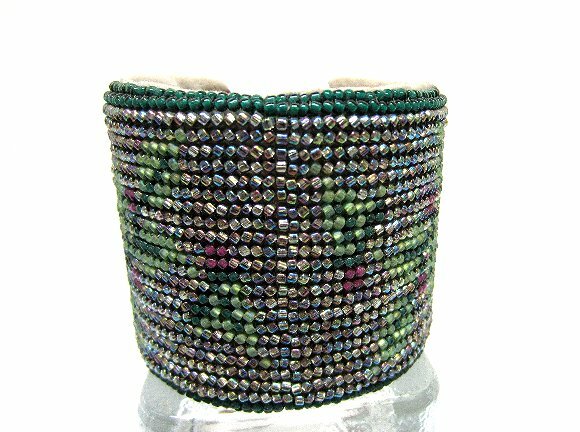 Here's an adjustable cuff bracelet that's a little different from the run of the mill: it's a silver plate cuff, but the visible part is all bead work. 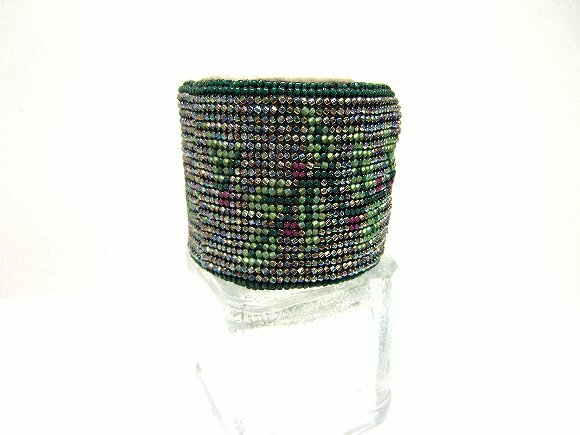 The background beads are iridescent peacock colors; the brightly polished silver cuff underneath makes them glow like nothing on earth! Cherry blossoms, leaves and branches are done in opaque shiny and matte beads. 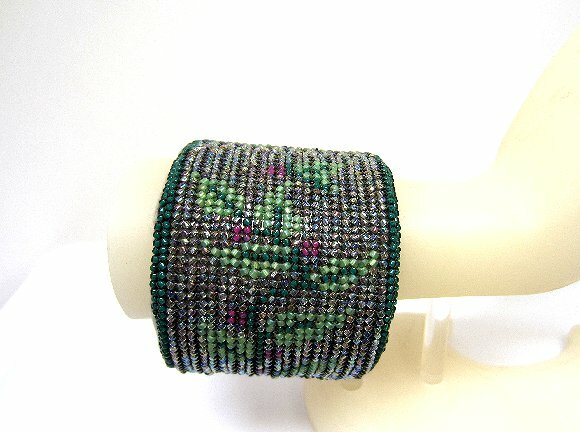 The bracelet measures about 2-1/4" wide, and is lined with soft taupe velour for maximum comfort. The cuff bracelet may be adjusted to fit a variety of wrist sizes. 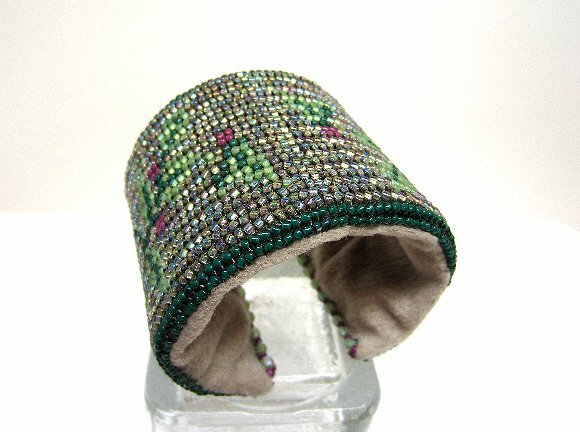 Truly unique -- I will NEVER make another beaded bracelet in this pattern -- it's another one-of-a-kind beauty from SPARKLE PLENTY.